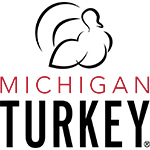 Michigan Turkey | Favorite Foods, Inc.
We have a simple mission. To provide nutritious and good tasting, quality turkey products by growing, processing, and delivering a consistent, reliable, value-added commodity source for industrial foodservice and retail customers. And proud of it. In 1998, Michigan Turkey Co-Op was founded by 15 growers who were looking for a way to bring their birds to market locally. Today, those growers sit on our board and are actively involved in the company. Being locally owned means it’s easier for us to adapt to changing needs—in our field and with our customers. Our family farms have spent decades mastering our craft and redefining the standard of quality. Our experience and attention to detail shows in every serving we produce today. Our products are the most wholesome and flavorful you can buy, not to mention the best all-around value. From the farm to the plant, every MTP associate is committed to the humane handling of our birds. The process starts by giving our birds ample living space in open-air barns. The birds are loaded hands-free with a humane loading system. Less handling of the birds means less stress on the animal, a more consistent product for you, and a safer workplace for us. Family is a word that defines the spirit of Michigan Turkey Producers. Family values extend to all of our relationships—both internal and external. From every associate to each loyal customer, we treat and respect everyone like family. Michigan Turkey’s reputation of being a great place to work and a great company to do business with is one we’re proud of. Initially operating in the commodity market, Michigan Turkey moved into the value-added market with the opening of our cooking plant in 2006. Featuring a variety of products under the Golden Legacy™ label, the ready-to-eat products have become the bread and butter of our business. And private labeling? We do that too! Currently, MTP packs for over 60 local and national brands distributed worldwide in restaurants and supermarkets. At Michigan Turkey Producers, we care about the environment and all of our operations reflect this. From conservative fuel usage to recycling our production waste, we strive to be environmentally conscious in all of our actions. Our farms and processing plants are in close proximity, with the average travel time under 40 minutes, which means less pollution and energy use overall. With food safety sanitation and standards that start right at the farm, Michigan Turkey far exceeds other turkey producers. Our safety regulations extend to every employee at both our raw processing plant and cooking facility. Not only are our plants built with stainless steel for easy and regular sanitation, but they are also BRC certified to Global Food Safety Initiative standards.